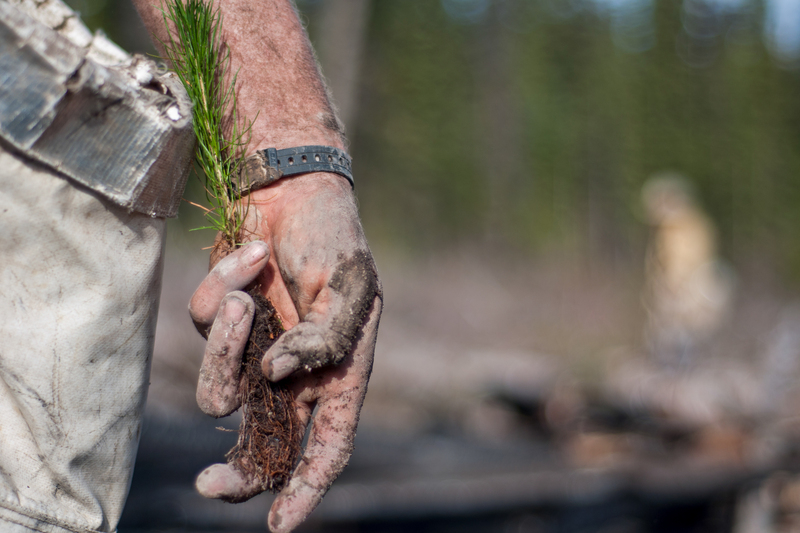 home › posts › top 10 rookie tree planter ... ten trees planted for every item purchased. 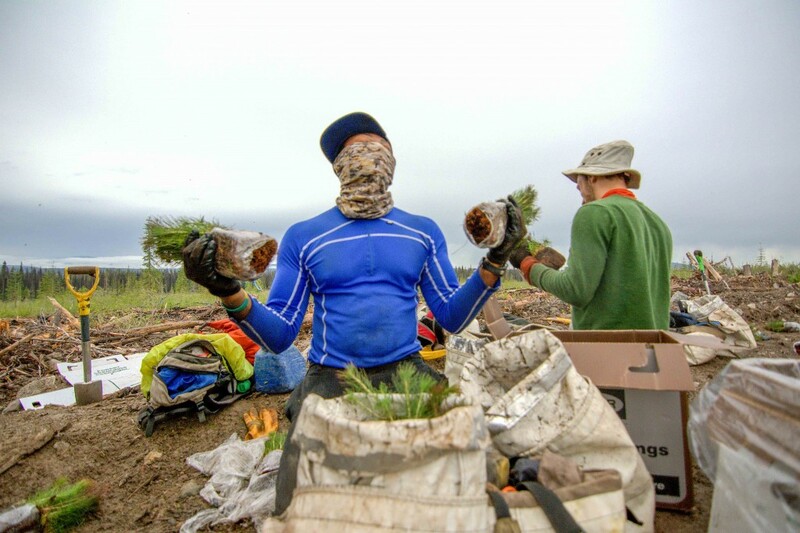 There's a steep learning curve associated with being a rookie tree planter, one that can make the difference between making almost no money, and pulling in hundreds of dollars a day. Luckily we at tentree can help you avoid those major mistakes. 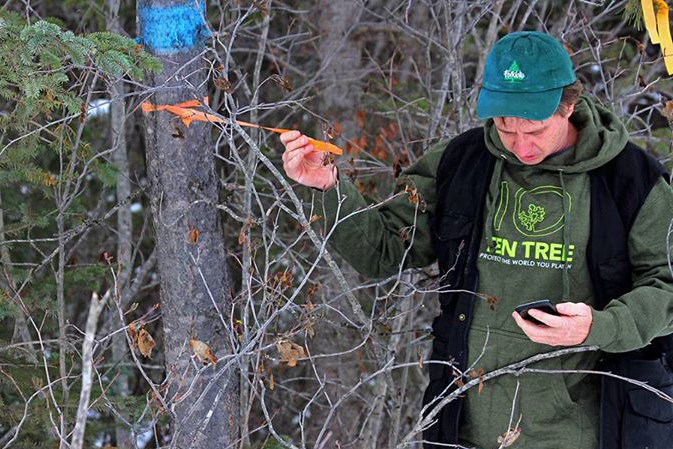 Here are the top ten rookie tree planter mistakes keeping you from making the big bucks. Proper density can be a tough one to master, even vets can have trouble. It doesn't help that the density specs can change from contract to contract, or even day to day. The biggest problem rookies have regarding density is adjusting it when it's off. Often the density will be to high or low and a rookie planter will overcompensate, swinging the density in the opposite direction. Really the only way to lock in your density is by taking a lot of plots on your planted area, and communicating with your planting partner. Remember that projected over the few hectares of land your working, it really only comes down to a matter of inches difference in tree spacing that can have a huge effect. When you first start planting, it can seem impossible to plant trees with perfect quality and maintain any kind of speed or rhythm. All too common is for rookie planters to altogether abandon quality in an attempt to pick up their pace. It should be obvious however that this is not a viable solution to your speed woes. Planting poor quality trees will most certainly earn you a trip back to the block to replant, and the more poor quality trees you planted thanks to your increased speed, the longer you'll have to replant for. The only way to really become a great planter is to stick with it through the slow early stages, planting good trees and allow the muscle memory to set it. Once it becomes second nature to plant quality trees, the speed will come of it's own accord. If you're good, it should take just as long to plant a good tree as a bad one. On the flip side of the coin, are the rookies who take their foreman's concerns about quality to heart, and then WAY overdo it. While I don't want to suggest that you don't attempt to plant the best quality trees possible, there is definitely a balance here. I've known some rookies who's speed and efficiency has been seriously reduced by pulling a "garden job" on every tree they plant; Taking so much care with each and every tree that you would think they were planting them in their own back yard. Quality is definitely important, but you're out here to make money as well. Try to find the pace where you can satisfy both quality and quantity concerns. Piece management is basically how you choose to plant the piece of land you've been given. 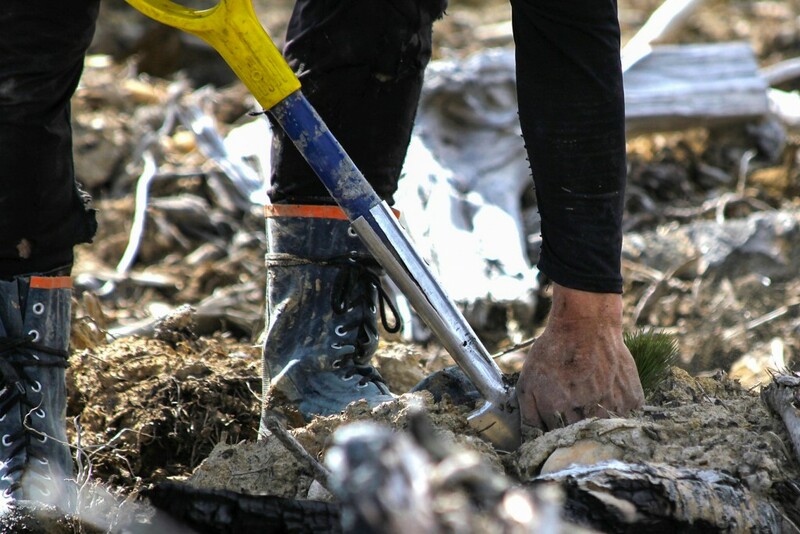 While everyone has their own distinct style and method of piece management, there are certain things you should and shouldn't do to make planting easier on both yourself, your planting partner, and anyone else who may come in to clean up the piece should you not finish it that day. Pieces are rarely neat, symmetrical rectangles or squares, which can create a lot of challenges for planting. It's generally a good idea to try and work the land so that you end up with a rectangle in the end. This means filling any bubbles along the perimeter first, and then lining back and forth from there along the now straight edges. You'll also want to make sure you fill the back in first by planting one line out from your cache to the back of the piece, and then successive perpendicular lines from there, working towards the front of the piece. This will help you avoid "pinching" the front of the piece, wherein you need to walk through lines of trees each time you bag up. Pieces are rarely so free of debris that you can simply plant in straight lines all day. 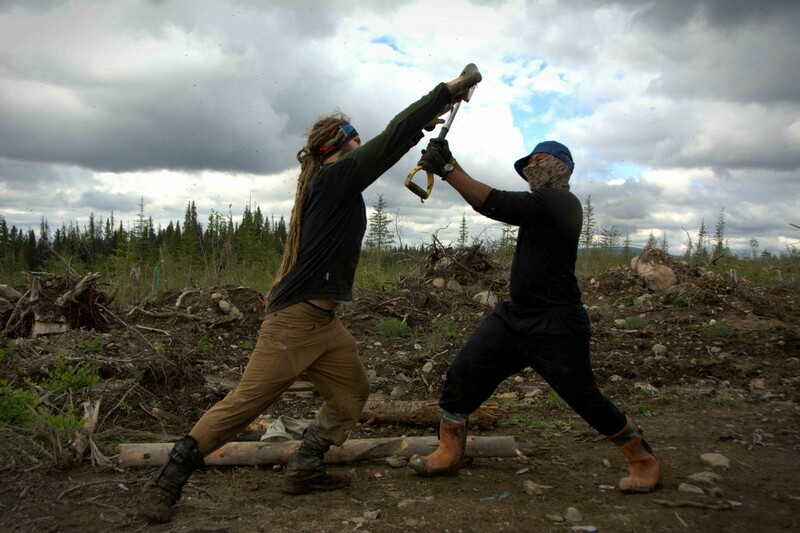 You'll be scrambling over slash piles, working around brush, trees and all manner of other obstacles. This can be difficult for some planters who's natural inclination in to line plant. Line planting makes following your trees easier, but can be exhausting if you have to climb over the same three foot high fallen tree 5 times as you pass it every new line. More efficient is to area plant spaces that require you to duck, crawl, climb, or batter your way into them, assuring you only need to exert the effort of getting in and out once. Some planters are natural line planters, some natural area planters. It's best to be competent at both, and understand when they should be used. This is simply a classic. There may be no better way to spot a rookie tree planter than by looking across the block and seeing a planter standing still looking around for the line of trees they're supposed to be following. While your vision does adapt to pick up the tiny tree seedlings the more you plant, the real trick is to always keep planting, even if you don't know where the line is. Ask any vet and they'll tell you they lose the line too from time to time. When they do however, they'll plant back towards where they think the line is, and then fill in any bubble they may have created. Having said all that, you still do need to try to be following trees and knowing where they are most of the time. One of the biggest frustrations vets have with planting with rookies, or even planting on a piece adjacent to a rookie, is ghost lining. Ghost lining is the term used for when you plant a line, thinking you're following trees, when in fact you've just planted a long solitary line through unplanted territory. This creates problems for you, and especially others following your line, as they'll hit it, and assume everything on the other side of the line is already planted. At best, if the ghost line is caught, it will result in time wasted walking through planted trees to get to the bubble, at worst it could mean failure for your block and having to go back and replant later. Long cache breaks are not necessarily a problem exclusive to rookie planters. 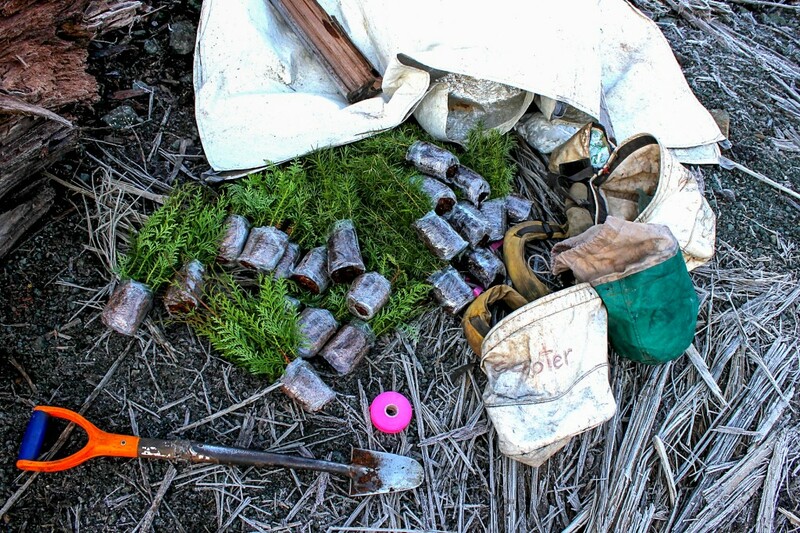 However they are definitely more prevalent in new planters, who underestimate just how much time can be wasted at the cache, and the effect it can have on their productivity. It can be hard, especially as a rookie to adjust to the hard work required while planting. A lot of planters come into planting after spending the rest of the year in school, or at another job, probably one with scheduled breaks to look forward to throughout the day. 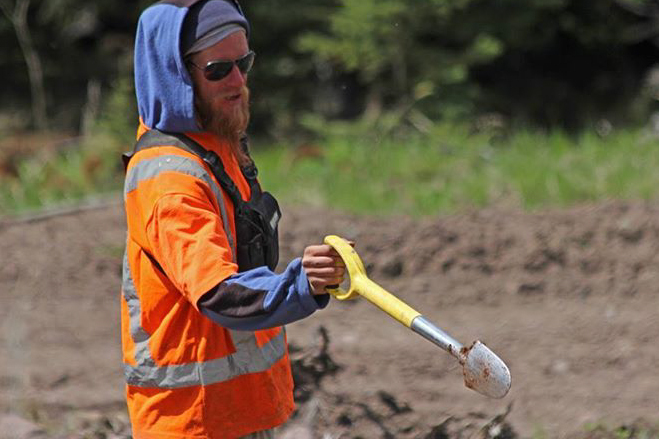 It can be hard to make the transition to planting, where - while your foreman may encourage short cache breaks - you need to find the self control yourself to regulate the length of your cache breaks. Top planters typically limit their cache breaks to around 5 minutes. Enough time to refill their bags, have a sip of water, and maybe something to eat. More likely, they stuff a sandwich into their planting bags and eat on the walk back to the cache. 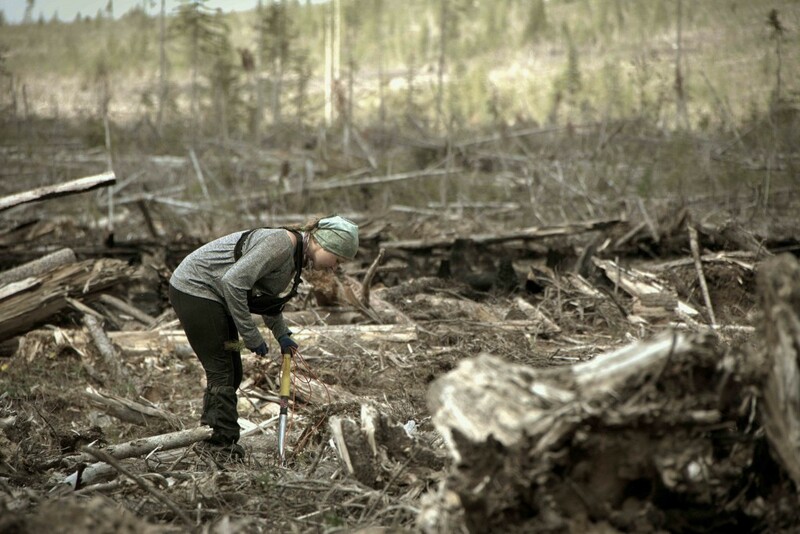 Screefing is basically using your boot to clear away moss, sticks, and other debris from your chosen planting spot, and is a subject of a lot of conjecture. Most vets will tell you that screefing is a waste of time, and that you should never do it, as it will only slow you down. Foremen will likely tell you that you should be screefing EVERY tree. Well? Which is it? As a rookie, especially during your first month, it is pretty much a necessity that you screef. Not only will the screef help you find and follow your trees, you don't have the technique to punch through the duff covering the soil, or the know how to identify the best planting microsites. That said, once you start to progress as a planter, selective screefing can really speed up your planting. There are some planting sites, such as in thick moss or stick mat, that all planters will need to screef to assure they are getting the plugs deep enough into the soil. If you are able to identify however where you can avoid screefing, this will save you a lot of time when totalled up throughout your bag up, day, and season. This is something that is unique to every planter. You're body size and strength will obviously determine how much you are able to carry, but you need to figure out for yourself what combination of weight vs speed allows you to plant most efficiently. 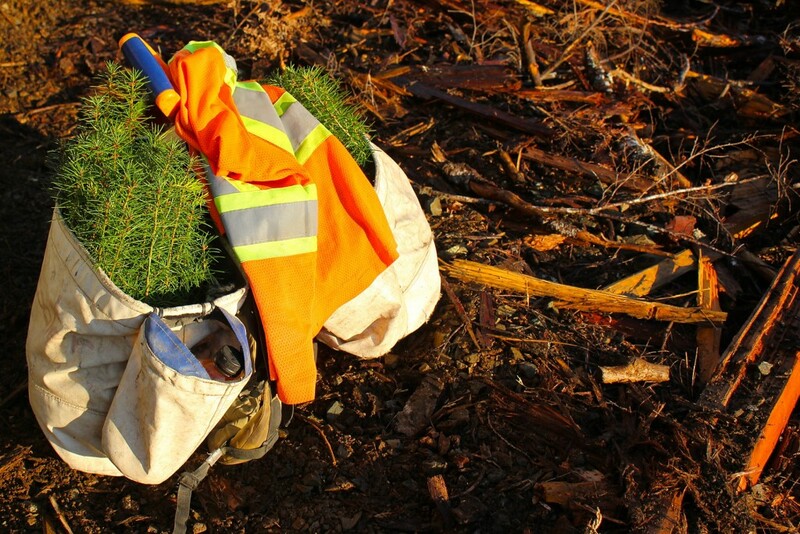 Bigger bag ups of 400 or 500 trees allow you to take fewer cache breaks throughout the day, minimizing inefficiency. However, carrying that amount of weight all day long can really wear you down, leaving you stumbling around the block in a daze of exhaustion by mid afternoon. Conversely, light bag ups keep you fresher, but always walking back to the cache can add up. It's best to base it around a time limit. 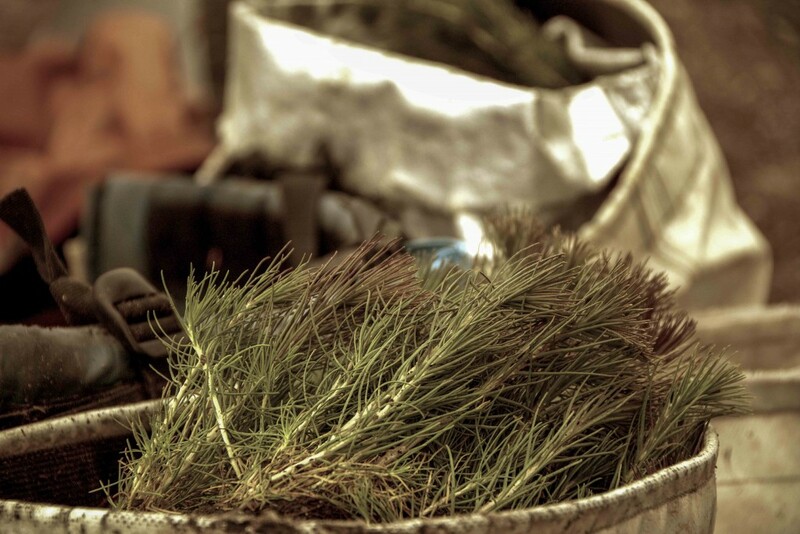 Find out how many trees you can plant in 45 minutes to an hour and take that many. If you are able to be extremely efficient at the cache, you can get away with smaller bag ups, if you like the idea of fewer but longer cache breaks, take more. Whatever you decide to take, remember that you need to bag up with however many trees are right for YOU. There will always be people telling you that the ideal bag up size is X, and they'll probably have sound reasoning, and it probably works great for them. But you are not them, and it may not be the best option for you. Experiment, and do what's best for you! There you have it, the Top 10 Rookie (and maybe even vet) Planter Mistakes. Hopefully they'll help you eliminate some bad habits and increase your production. The post top 10 rookie tree planter mistakes appeared first on tentree.